The beginning of this book is wonderful. The author references the late painter Bob Ross. He talks about how Bob would paint these realistic pictures. What the author has done has shown us through scriptures the most wonderful painting of our heavenly father. I had never seen so many references in one place that paints such a clear picture of everything our father is. This is not a book you read one time and put down. This is a book you read over and over again because each time you read it you discover something else about our Good Father. There was one part of the book that I absolutely loved. Yes, I loved all of the scripture references. But that is not it. 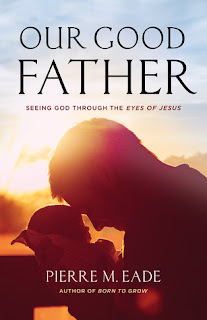 On pages 178 to 179 the author has taken a collection of scriptures and put them together to create the “Father’s Love Letter”. It is probably the most beautiful part of the book. There are so many scriptures taken from different parts of the Bible and put together into a beautiful love letter. This is not only a book I will read again and again, but will recommend to friends everywhere.